Uttar Pradesh(UP) government, on the orders of the Election Commission, on Saturday night named Atul Kumar as the new Director General of Police (DGP) of the state. The move follows the EC directions, asking the Uttar Pradesh government to remove the state's home secretary and the DGP. The EC had sought a panel of officers from the Uttar Pradesh government and from this they have selected Atul Kumar. 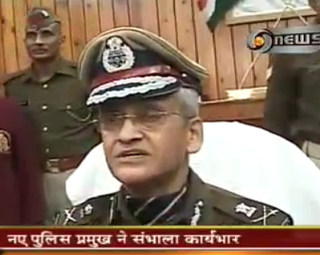 Atul Kumar is a 1976 batch Indian Police Services (IPS) officer. The Election Commission on Saturday said statues of Chief Minister Mayawati and elephants, BSP's poll symbol, installed at a number of places in Uttar Pradesh would be covered during the state assembly election. "The Commission has decided that statues of the CM and elephants will be draped," Chief Election Commissioner S Y Qureshi told reporters in Lucknow. this would be implemented at the earliest as the matter was related to the model code of conduct, he said.